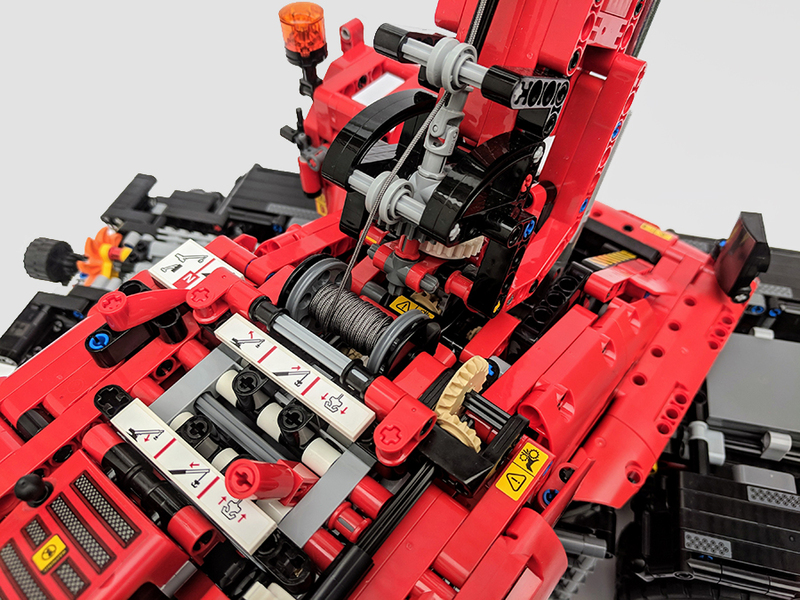 It’s time for the final set review of the Summer Technic releases. 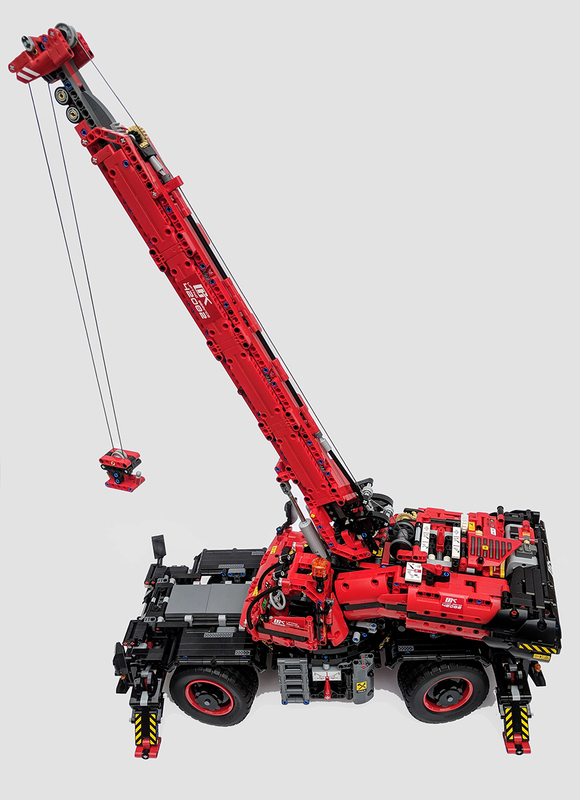 The Rough Terrain Crane is the largest LEGO® Technic™ set released to date, which makes it one big build. So big in fact it’s taken me a while to get it built and it’s been a nightmare to photograph. But I’ve finally finished it and just about managed to get a few decent shots of the incredible looking new set. 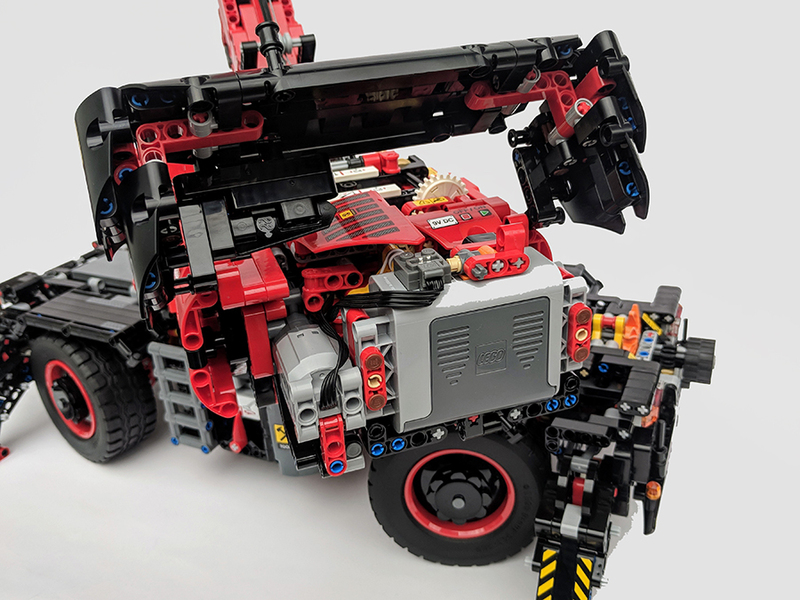 Construction vehicles featuring heavily in the Technic line as they lend themselves nicely to the Technic build system and inspire much of the functional abilities of sets. 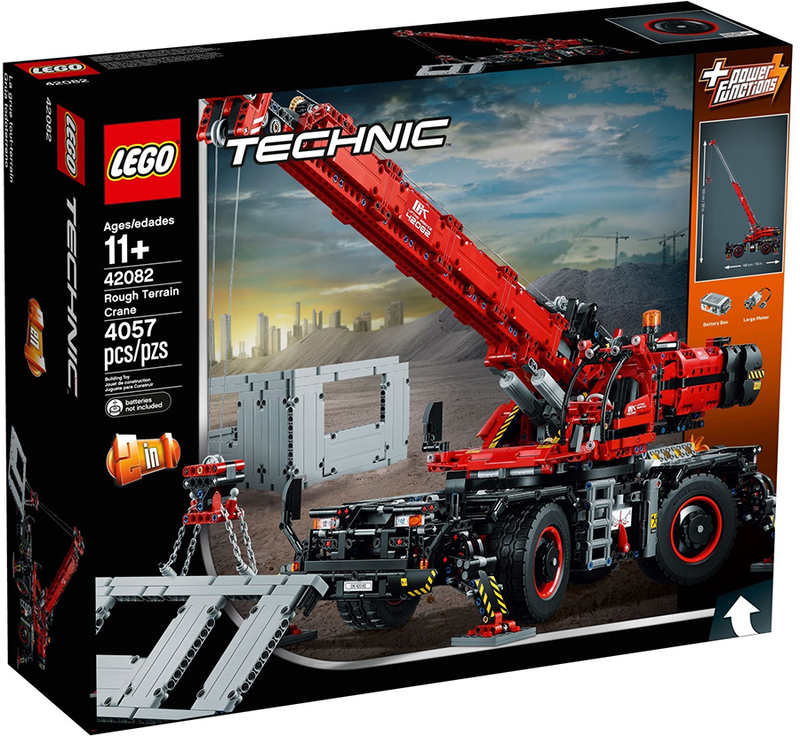 So let’s see if tackling the Rough Terrain Crane was worth all the hard work and take a closer look at some of the sets extensive functionality. Measurements: over 100cm high, 66cm long and 26cm wide in working position, and over 27cm high, 76cm long and 20cm wide in driving position. 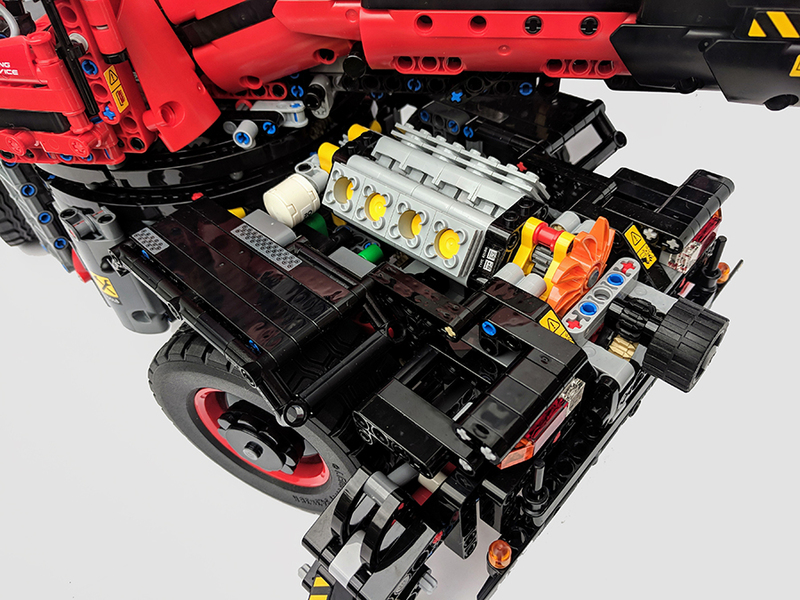 Fuelled by a mixture of intrigue and dread, I cracked open the huge box to be greeted by seemingly endless bags of Technic pieces, two whopping instruction booklets and another smaller sealed box, also filled with even more bags of elements. 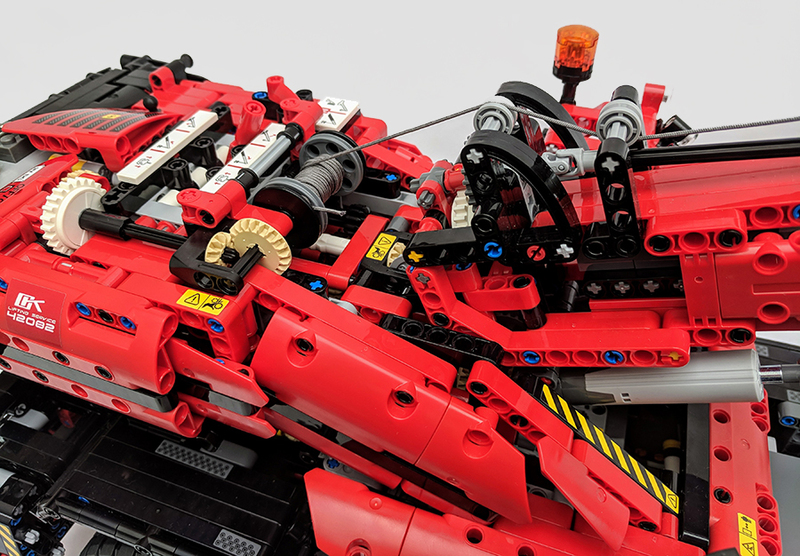 As one of the largest Technic sets released to date, it was only expected that it would be heavy of parts, thankfully the bags are numbered. With so many bags, having them numbered is a really helpful feature, especially if you’re light in space to build. I know there are those who like the traditional method of non-numbered bags, but it’s just not practical with a set of this size. 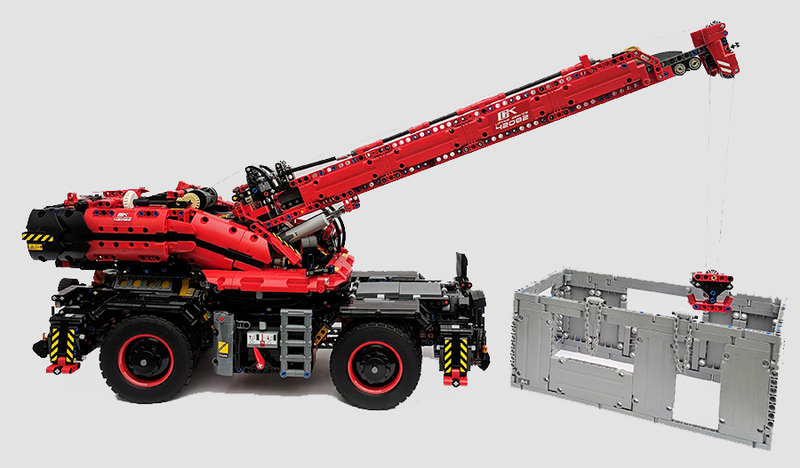 The entire set has five clear stages to the build, the base, the central platform, the crane boom arm, the cab and the partly build building walls. 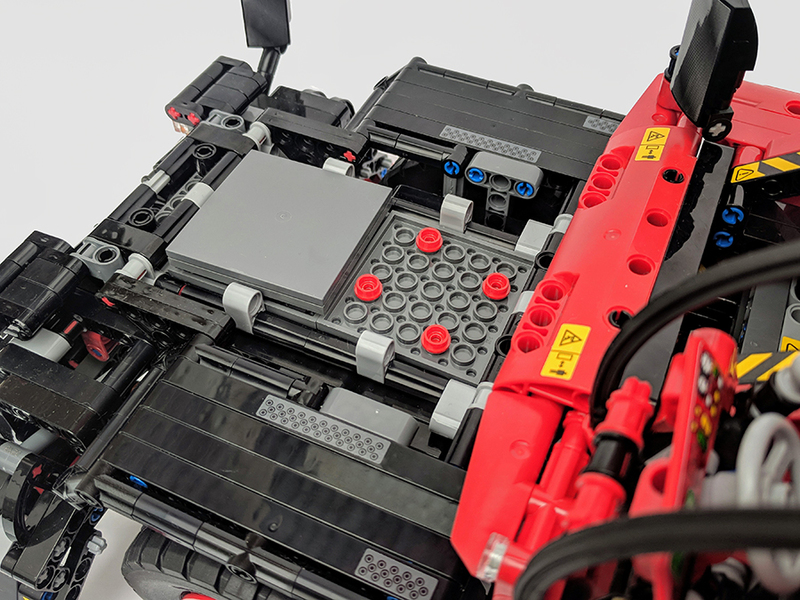 As with most Technic sets, the build begins with the inner workings of the base. 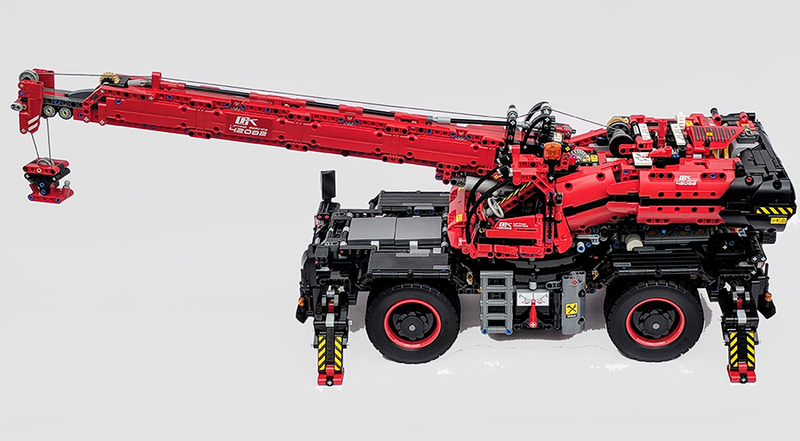 There is a lot going on with the innards of the crane, all the workings for extending legs, steer system and engine are all built within the chassis of the crane, and all are linked together. Despite that, although I’ve not built many Technic sets, those I have can be a little tricky to build due to masses of gears and dials, this set isn’t that complex. Although there were a couple of instances where I missed steps or placed things incorrectly. 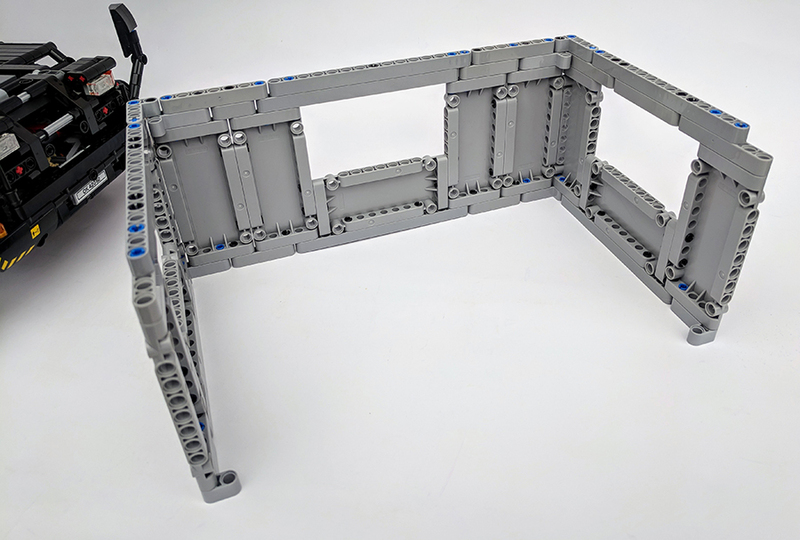 This is more to do with the instructions, some sets I’ve built in past, have had the elements which need to be placed, highlighted within the build, something which would of been extremely useful with a set of this size. Once the base is complete, you then start on the central platform, which connects to the base via the large circular track built into the base. The platform looks a little sparse, but the majority of it is made up of the boom arm, operators cab and plate detail added on towards the end of the build. 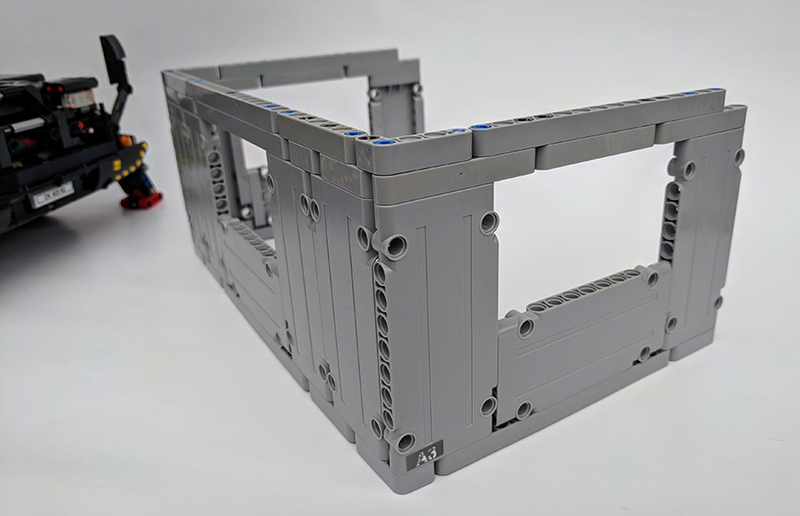 The set is far too big to detail all aspects of the build, we’d be here forever and to be far it would be a boring read, instead I’ll focus on the functional aspects of the set as they are the most fun parts. I will say that the build is fun and will keep you busy for a fair few hours. At over 4000 pieces, you’d expect the set to have an array of functional elements and it doesn’t disappoint. There’s a number of manual functions along with an intricate but not complex Power Function-powered system of movement. 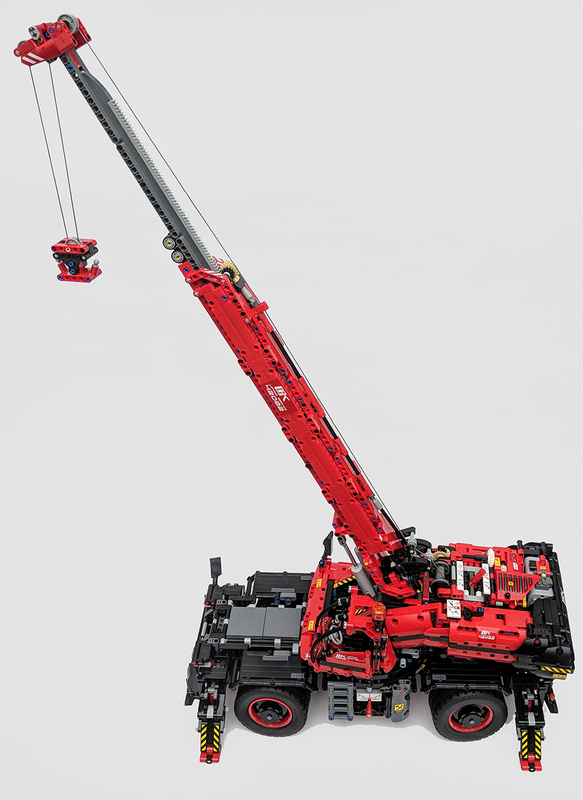 On the manual side of things there is a basic steering system, which is controlled by a lonesome tyre on the very rear of the crane, this turns the both axels in opposite directions for easy turning of the chunky tires. When those big wheels turn, they also provide movement to the 8 cylinder engine. You can also access basic tools in little boxes inside compartments, located either side of the cranes central platform. 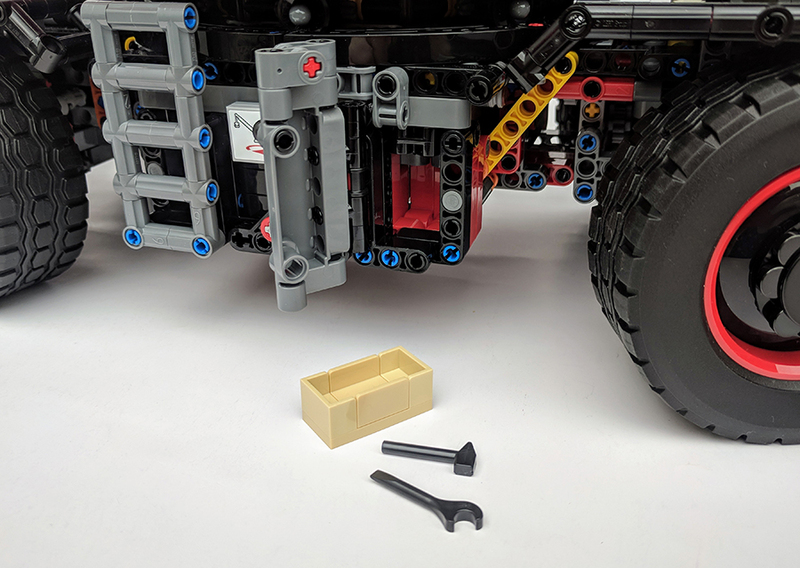 These have a Technic plate, which can be opened to reveal a set of additional chains and tools. But the sets most impressive features are those that are powered. 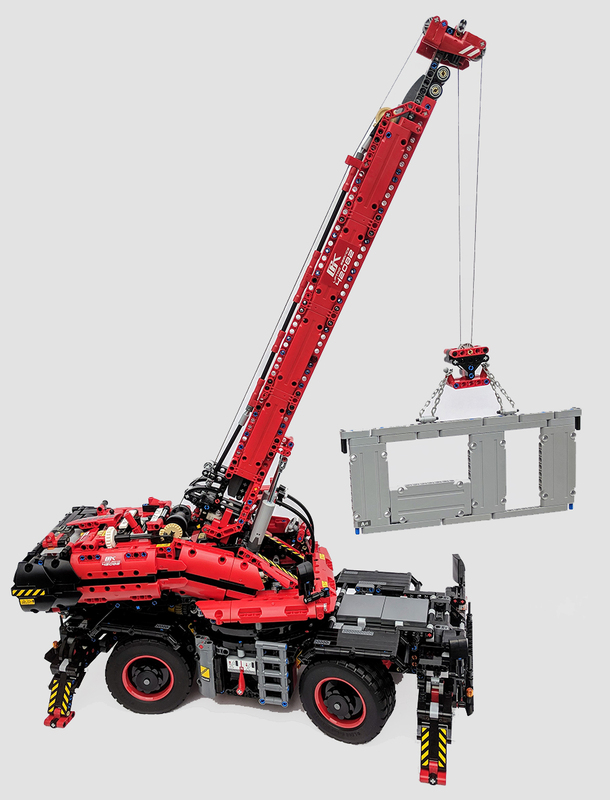 A large Power Functions motor provides the necessary juice to power a number of automated movements, many of which you’d expect a crane to do. One of the best of the best of the powered features is a set of four stabilizer legs. These are located on the large base chassis of the crane and can be deployed by a switch found on the side of the crane. With the motor running and the switch on the top of the crane set in the left direction, flicking the switch on the side, allows the four legs to extend at the same time. The motion of the legs slowly extending is great. Flicking the switch in the opposite direction, recalls the legs in an equally smooth motion. 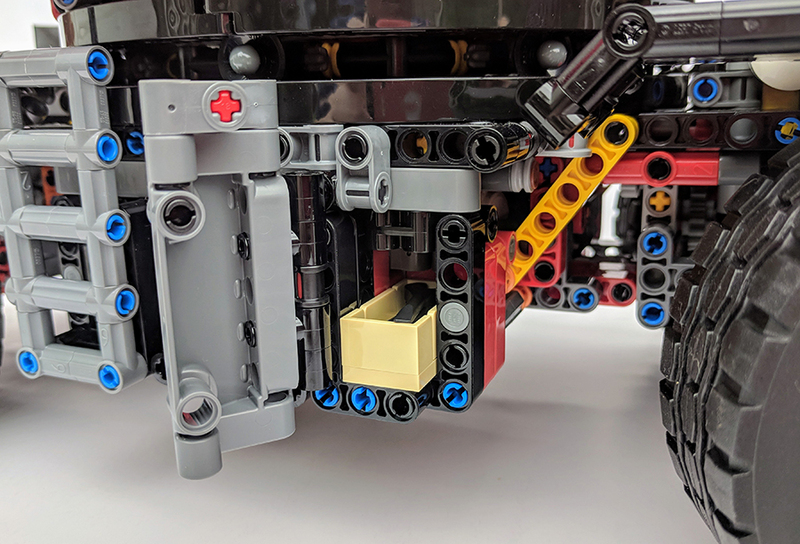 There are also four removable plates with four perfectly placed studs, there can be placed under each of the four extended legs. With those studs framing the feet of the legs. When not in use they are stored in the front section of the cranes base. They are a nice addition to the set, especially has they are not really necessary. But just like the additional tools and chains, the stability plates would be something the real world vehicle would have. 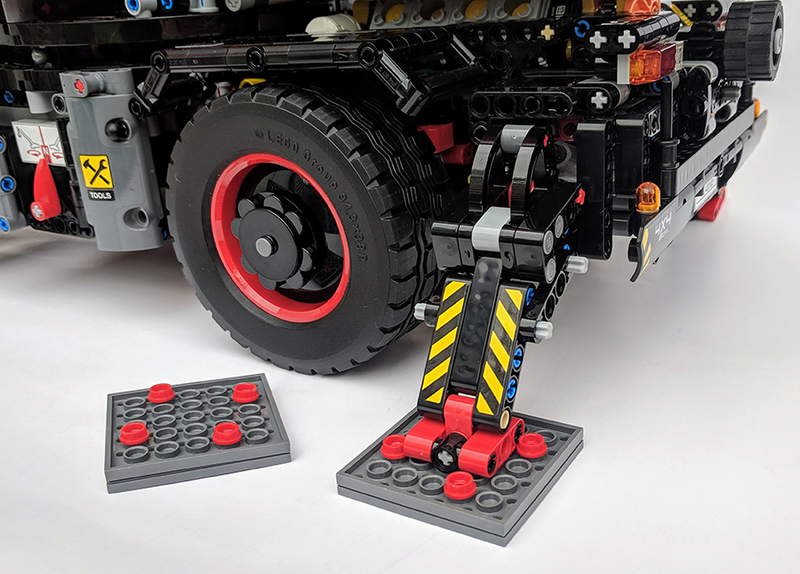 There is another switch located on the opposite side of the leg extension switch, this allows the cranes central platform to rotate in a full 360° circle. Depending on how the crane arm is angled and extended, thanks to the sets immense size, the cranes turning circle can be impressively large. That central section is quite weighty, so the fact a single motor can rotate it with ease is quite impressive, not to mention its also a smooth motion. The final powered functions are the most complex, they are controlled by a series flick gear powered switches. These are best described as a gear box, like you’d find in a car. The Rough Terrain Crane version features a single switch handle and six gear notches. A ‘charge-over catch’ is mounted on a rod which sits above a trio of ‘gear shift connectors’, moving the switch causes the those connectors to move, which then causes various parts of the crane to move. It sounds complex and looks complex, but it wasn’t that complex to build, which I really liked. 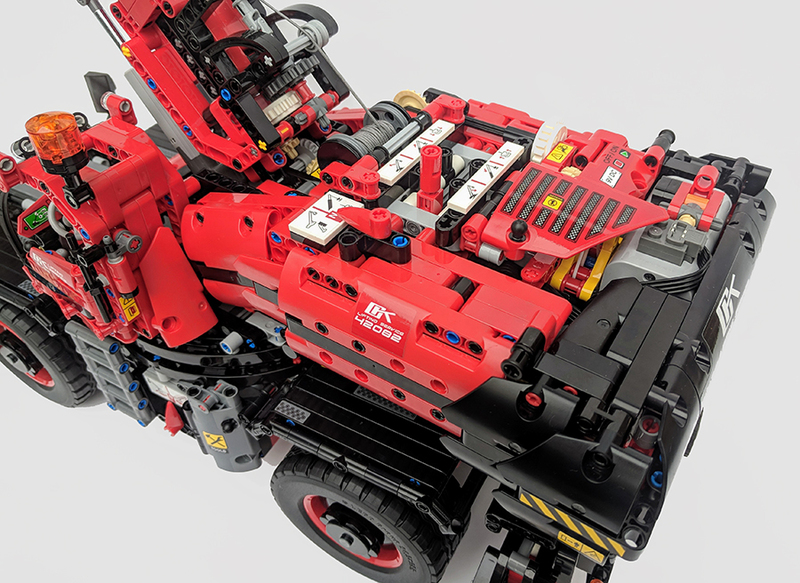 In fact it was so nice to put together, compared to other Technic sets I’ve built in the past, I thought I’d missed something as it didn’t look like what was there could power five different points of movement. As well as the the gear switch, you’ll also notice a second two-way switch, this flips the motors controls between the upper functions and the lower functions. So flipping it to the right, allows the boom functions to work. Switching to the left, allows the lower functions to work. All of which are clearly labelled via the power of stickers. 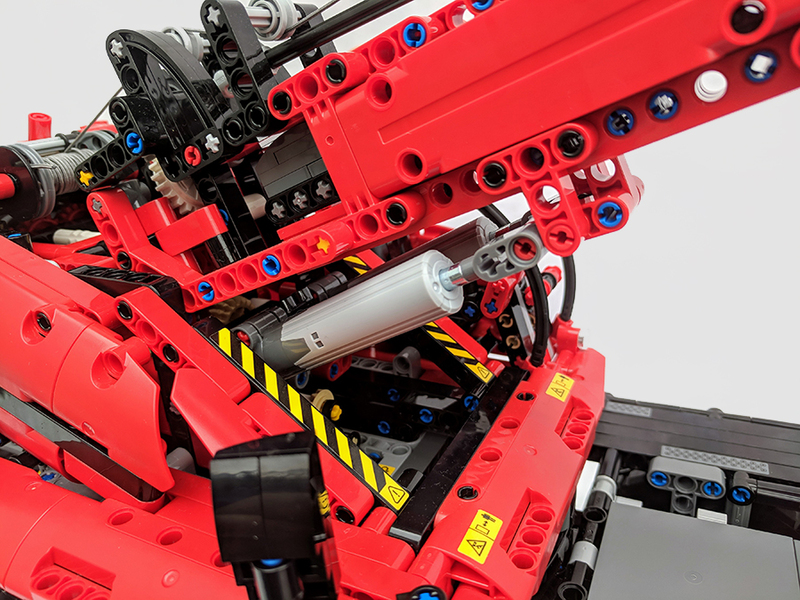 A mixture of gears, pistons and thread combine to create the connection between the main body of the crane and the boom arm. The boom arm actually takes up quite a lot of the build. The central section of the boom is housed within a large stripe of flat panels. I accidentally put the end gear wheel on the wrong side which resulted in the stickered switches working in the opposite direction, thankfully it was easily to correct, unlike the gear issues I had with the original Volvo Wheel Loader set, which resulted in completely stripping the set back to the beginning. 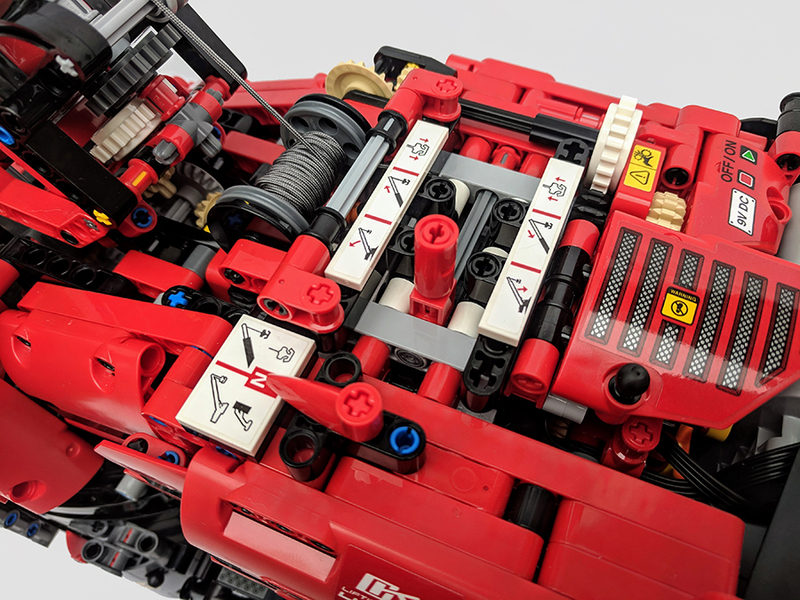 When building a Technic set make sure you double check every step you build. This will help in the long run, as you really don’t want to being taking the set apart for a missed pin or incorrectly set gear. The boom arm can be lowered and raised, the jib can also be extended to almost double the length of the boom. When LEGO say its the tallest and largest crane to date they aren’t joking. The hoist rope can also be lowered and raised, thanks to a series of gears built into the lower section of the boom, these link up with the main gear system in the base of the crane. 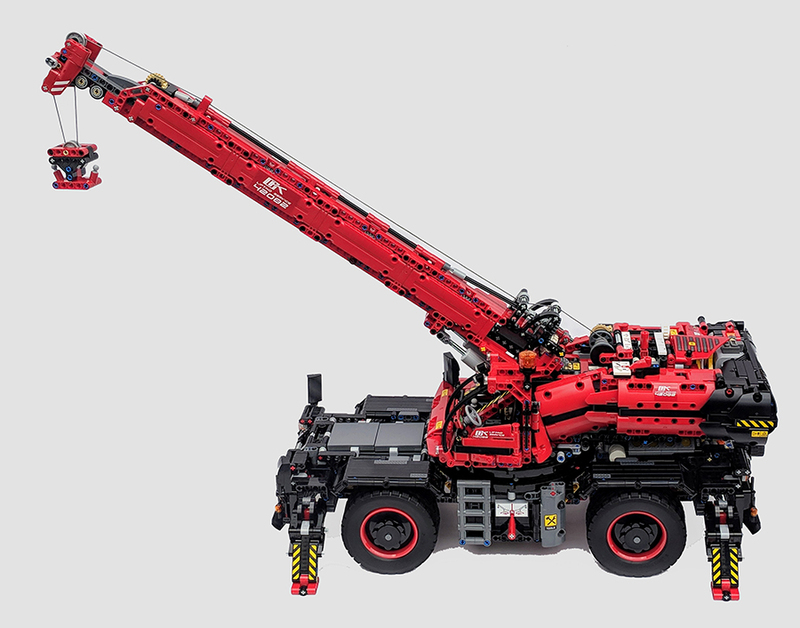 The whole thing is basically a slightly simpler version of a real world crane, it’s has all the functions and movements of an actual crane, just built with LEGO elements instead of steel and iron. 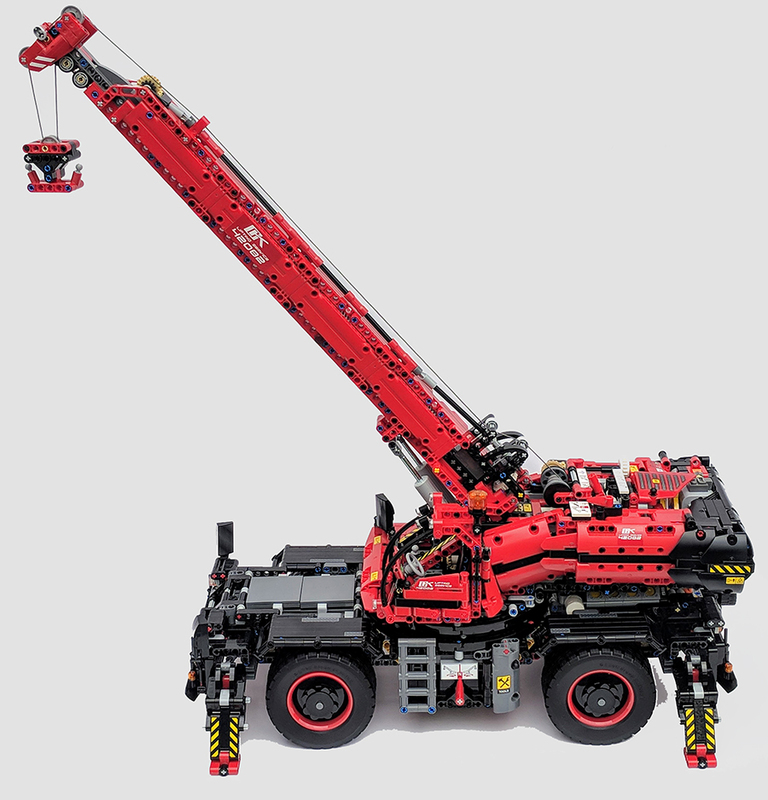 Which is what makes these large scale Technic sets so impressive. A crane needs things to lift and the set doesn’t disappoint. It includes four walls made from a mixture of Technic plates and beams. The walls can be connected together, although they can easily fall apart, but the main reason they are included is to give you something to lift. One of the walls has a chain connected to it, which allows you to connect it to the cranes hook and lift with ease. 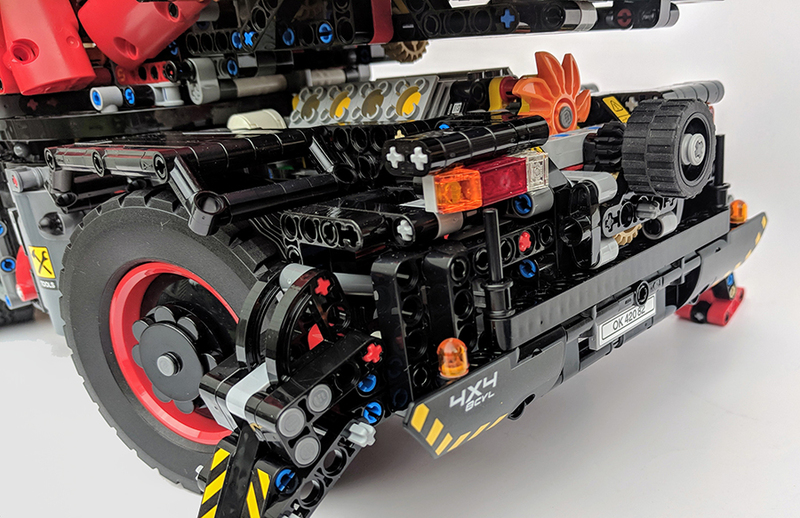 The whole thing is powered by a large motor and battery box, these are from the original Power Functions system and not the new Powered Up system. 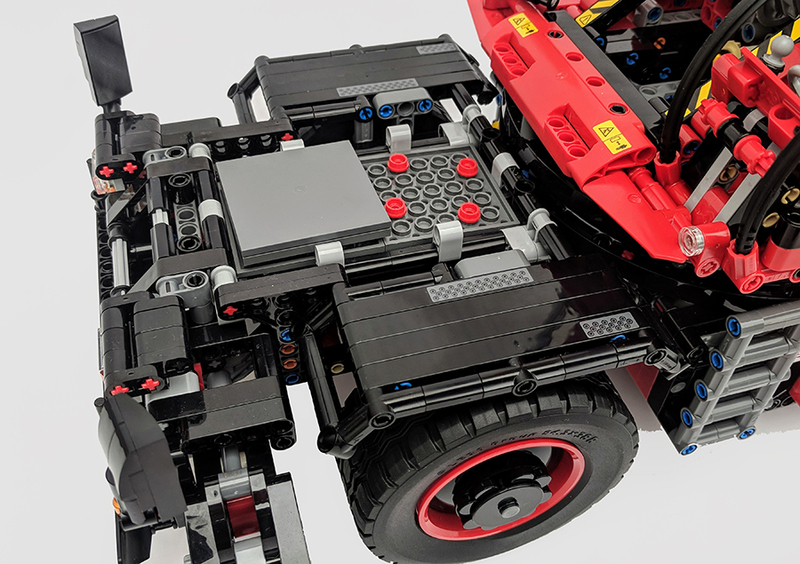 It will be intersting to see how the new powering system is integrated into the Technic range, especially due to Powered Up’s differing connections and app-connected control. 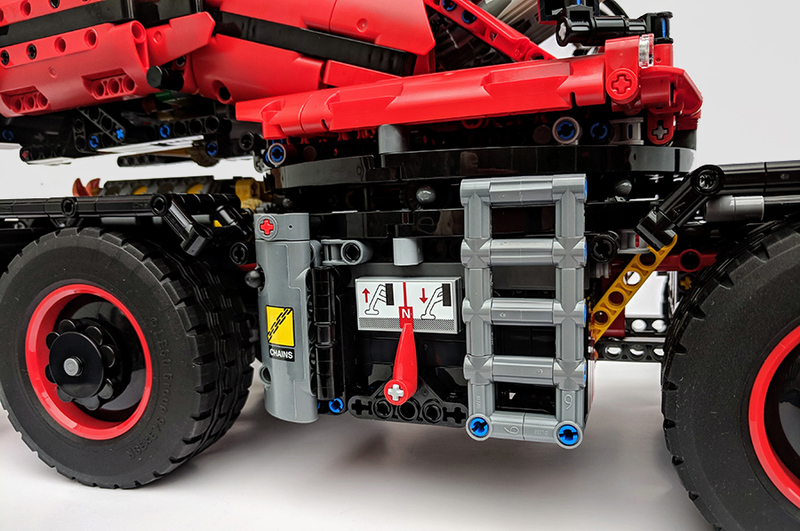 Both the battery and motor is hidden beneath the black rear section of the main body, which flips up so you can easily change the batteries, I wish LEGO would introduce a rechargeable battery pack as standard, using 6 AA batteries can become an expensive game. I was expecting the set to take a while but I was also expecting it to be really complex and frustrating to build, it was none of those things. The gear system is a genius use of parts and engineering. The final model is a beast, it’s huge and has some amazing functional features. I still think the Volvo Concept Wheel Loader is my favourite Technic set I’ve built so far, but the Rough Terrain Crane is an extremely close second. 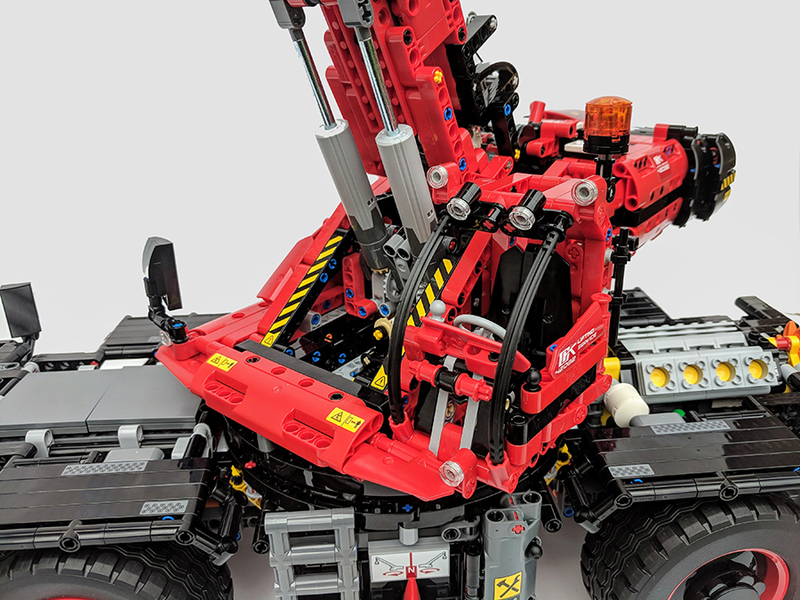 As with other Technic builds the Rough Terrain Crane can be built into a second model, the Mobile Pile Driver. 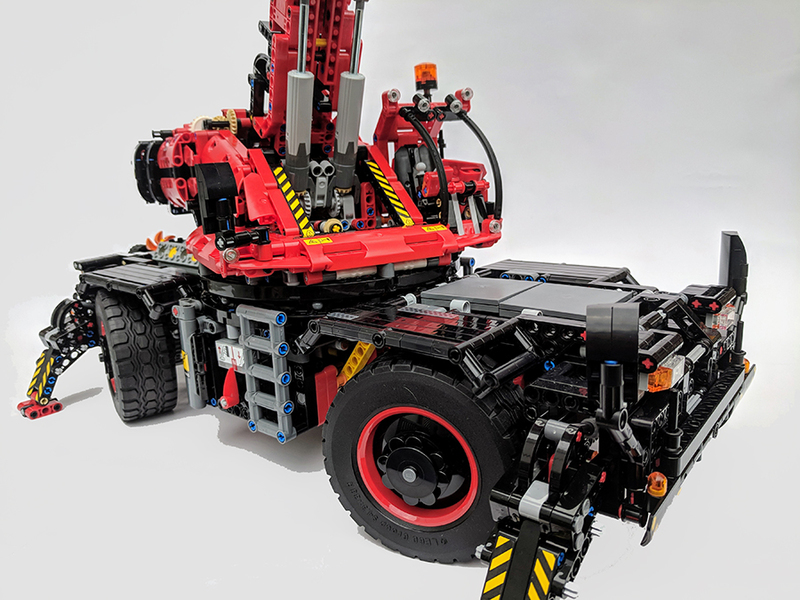 Instructions for this B-model can be found on the LEGO Technic website, where you can also watch a video detailing some of the main sets, impressive functions. Having finished the model all upper functions work but the turntable and the four legs do not work when the appropriate switch is deployed help ?